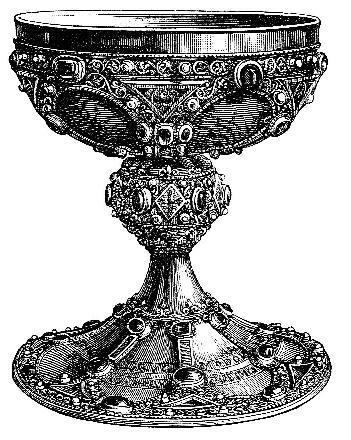 Many Wiccans keep a chalice of blessed water on their altar. This allows for the purification of any negative energy that might interfere with the rituals performed. Try to obtain natural water from a spring if you can, however tap water is fine too. Bless it with your light. You can also add a little bit of salt to the water while blessing it – salt is good for purification of any object. Or you might want to insert a pentacle, or a blessed athame inside the chalice of water. Although the blessed water is often just placed on the altar in a chalice or cup to represent the water element, it can have many other uses. You can use blessed water to prepare potions, to purify objects before enchanting them. Blessed water is also a good tool for protection against demons and negative entities. As a sign of respect for the God and Goddess invoked to bless the water, don’t throw the blessed water down the drain when you need to replace it. Instead, use it as an offering at the foot of a tree, or to water an indoor plant.